In less than one month I will be in Britain! Unbelievable. Preparations continue and soon I will be as ready as I will ever be to embark on my great adventure. For all intents and purposes, I am done with the London reading list! After reading all of the novels and prose selections, I finally got around to reading some of the poetry, of which my favorite was certainly William Mcgonagall’s “Descriptive Jottings of London”. Before I threw this poem blindly into the basket of my reading list, I knew nothing about William Mcgonagall. Before reading his poem, I decided to read a bit about him. Much to my delight, he is considered perhaps the worst poet in the English language, I kid you not. For someone like myself with a great appreciation for hilariously bad poetry, Mcgonagall is an immediate favorite, his work is nearly as fine as William Carlos William’s “This is Just to Say”. For example: “St. Paul’s Cathedral is the finest building that ever I did see;/There’s nothing can surpass it in the city of Dundee.” Mcgonagall should be a fair judge of this, as he was from Dundee, Scotland, a city just north of St Andrews! Well, if you would like to read some poetry that will bring tears to your eyes, click here to enjoy some of Mcgonagall’s finest. Somehow, every conversation I have usually ends up turning towards my upcoming trip, which is usually my mother’s doing because she likes to tell everyone that I am going to Scotland. This prompts several common responses: “Why are you going to Scotland?” (Does one really need a reason? It is Scotland after all) “Aren’t you excited?” and “Are you nervous?”. While I can always say that I am beyond excited, I usually tell people that I’m not nervous, which is a bit of an un-truth because there are somethings I am definitely worried about, but, as the following lists will show, I think there are far more things to be excited about than there are to fret over! London: In case you have not been on this blog in the past six months, I am going to London for 4 days, and I am chuffed to bits about it (British slang: it means “really happy”). Trying to explain how eager I am to see the Charles Dickens museum, the Sherlock filming location at N. Gower St., and Macbeth performed in the Globe leaves me completely incoherent. It is all going to be amazing. Edinburgh: We only have only one day planned in Edinburgh, but I am still excited about it. I can’t wait to see Edinburgh castle and enjoy a history tour of the Royal Mile! 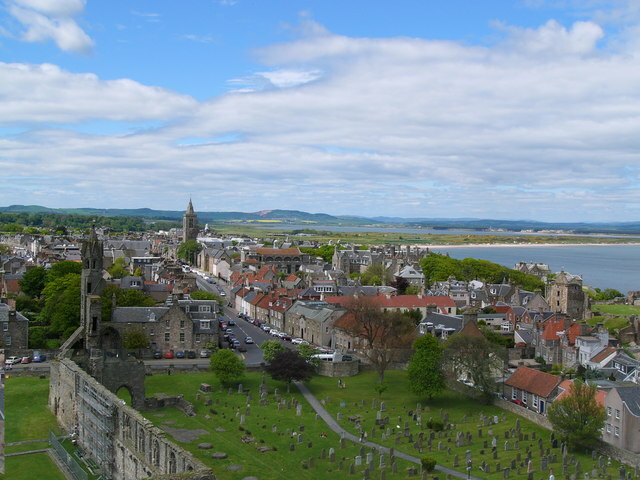 St. Andrews: Ah, my beautiful future home by the sea, I’m in love with it already. Right now, I am anxiously awaiting my housing assignment to learn where in town I will be living. In these charming environs, I would probably be happy living in a cardboard box. Friends: Another common question is “Do you know anyone else who is going over to Scotland?” at which point I go completely giddy and gush about how all of my best friends are in the program too. Since we are spread out across the US, I haven’t had a chance to see them since May, but we will all be together again in Scotland! Uber excited about this one. Grocery stores: Grocery shopping is one of my favorite past-times, yes I consider it a past-time. Imagine how magical it will be to amble down aisles of those exotic British foods like Jaffa Cakes, Heinz Baked Beans, and clotted cream. British Food: This is closely related to the previous item. 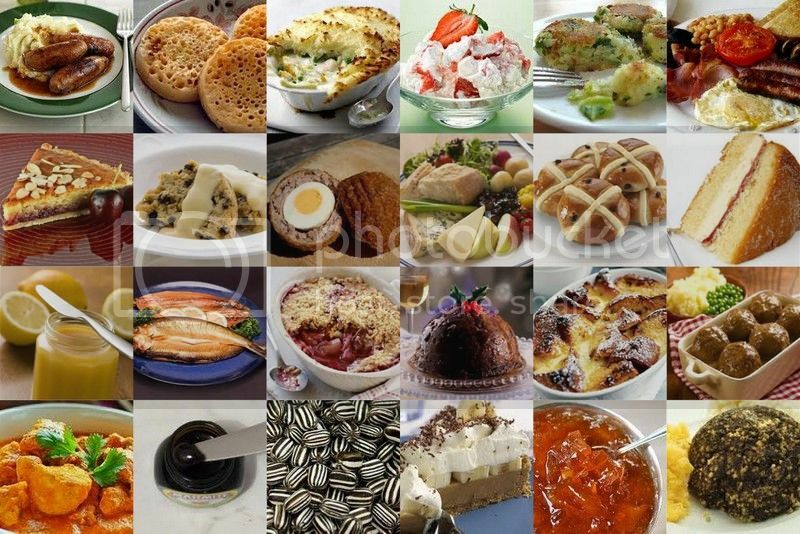 Having tried making many British recipes myself, I look forward to trying the genuine delicacies in their homeland. Meat pies and curries and cheese, oh my! Photo Opportunities: Is there a more photogenic country? Well, I don’t want to argue about that, but I think Scotland will be just fine for my shutterbug self. The Seaside: With “By the Sea” from Sweeney Todd running endlessly through my head, I can hear the chilly Scottish beaches calling already. Classes: Lastly but not least of all, I can’t wait to start my new classes and learn more about the British education system. I am sure I will be writing more on the differences between the American and British classroom during the first semester. The Distance from Home: Yes, Williamsburg was far from home, but at least I was on the same side of the ocean and in the same time zone as the rest of my family. This next year, that is going to change. I probably won’t get to see my family again until Christmas time, which is certainly going to be difficult because I will miss them terribly! Last year, we used Skype all the time to keep in touch, so here’s hoping it will work just as well this year! I am praying for the strength and serenity to face this one, but I trust that all will be well. Culture Shock: In spite of my whole Anglophile and Britophile history, I know nothing could ever fully prepare me to assimilate to a foreign culture. It will be an exciting challenge! Freshers’ Week: In the US, Universities have freshman orientation, which generally consists of a very full schedule of events and lectures meant to prepare you for your courses and inform you about health and safety on campus. In the UK, they have Freshers’ Week, which has a much more lax schedule and is notorious for involving a lot of drinking. The drinking age in Britain is only 18, so most university students can legally drink their first year. Because of this, many events during Fresher’s Week seem to center around consuming copious amounts of alcohol. As someone who doesn’t like to drink anything stronger than a cup of tea, I am not too eager for the drinking culture in St Andrews. Academic Differences: The troubling bit about this is that I don’t quite know what to expect as far as teaching styles and grading expectations. UK university instructors, called lecturers not professors, are not typically as available to help students as US professors are. Since attending office hours helped me so much this past year, I am hoping there will still be plenty of other resources available to students. Being in the US during the premier of Sherlock series 4: This is honestly my greatest concern (okay, maybe I am exaggerating, but it did make the list). I plan to come home for the Christmas holiday in December and January (yay!). As of now, the next series of Sherlock is set to be aired in the UK in January, and there is a chance that it could be airing while I am still in the US, in which case I would have to wait until I got back to Scotland to watch it (*pouting like a spoiled child*). I had been so looking forward to taunting my brother about seeing the new episodes before him, oh well. For now, here is one of the new trailers!!!!!!! !